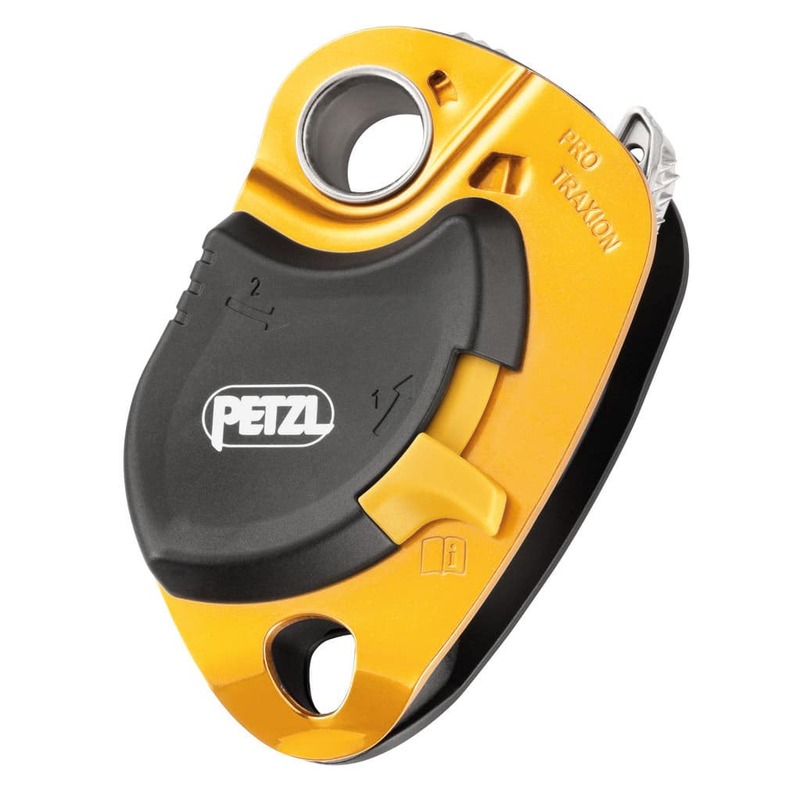 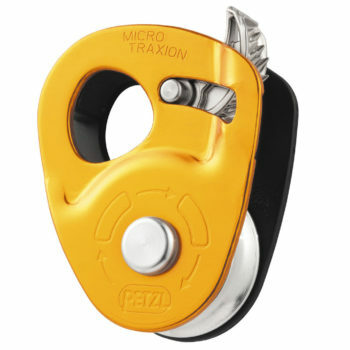 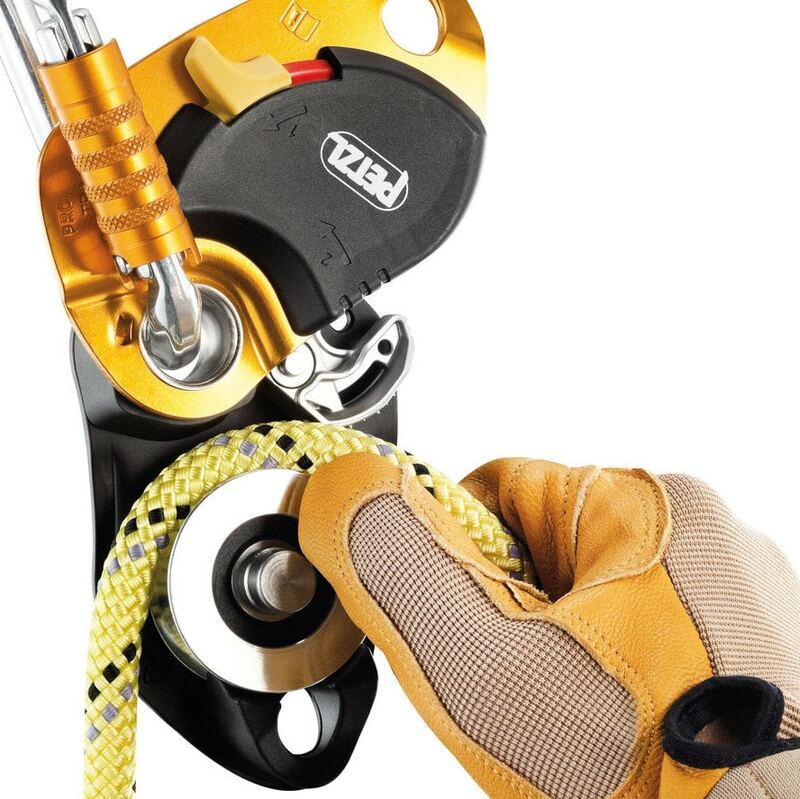 The PRO TRAXION progress capture pulley was designed to allow rope installation while the pulley is connected to the anchor. 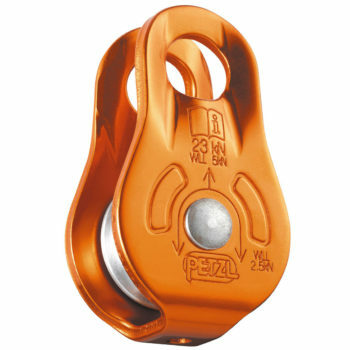 With its large diameter sheave and great efficiency, it is particularly appropriate for hauling heavy loads on big walls. 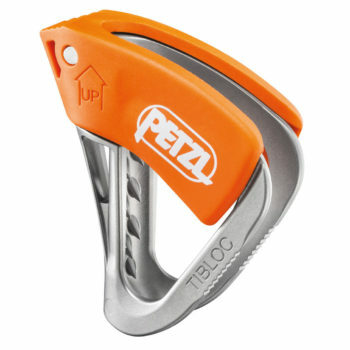 The side plate locks when loaded and prevents opening of the pulley during use.